When you get to the extreme of your emotion and tend to become unstable and unpredictable, you might be experiencing bipolar disorder. This is as what the name suggests being on the extreme poles of your emotion. You might be happy in the morning, laugh all the way and in the afternoon, you will not be the same person as you are a few hours ago. Other name for bipolar is manic depressive illness wherein there is no control for the depression when it strikes. Mood episodes are the symptoms of bipolar disorder. There is no healthy brain orientation for someone who has this kind of disorder because everything seems unsure. It could be a depressive episode, manic episode or a combination of both. 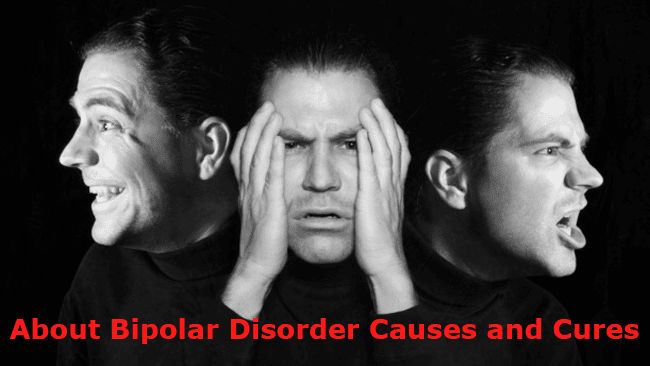 The cause of bipolar disorder is quite a puzzle to everyone. Though there are so many theories that exist regarding the possible root like genes that could be the tendency for having the disorder and abnormality in brain structure and function, there is no clear reason for the existence of the disorder which is considered serious. Right now, studies are still continuous in search for the mysterious reason behind the manic depression. In terms of medication, it depends upon the person. It means to say that medication varies. The doctor will check the patient very well in order to know what to do with regards to proper medication. Talk therapy is also effective. The main goal of talk therapy is to change the behavior of the person in order to change his life which can be a hope for recovery, though there are gesticulations that there is no chances of recovery on someone with bipolar disorder, it can be tamed but when triggered, it will once again take place. The modern therapy for the disorder is ECT or electroconvulsive therapy.